16 pawns on a chess board with no three collinear: how do I go about solving this? Here's a problem that was posed to me but I haven't seen anything about it anywhere online! I'm beginning to wonder if I'm just getting played! You have a chessboard and sixteen pawns. 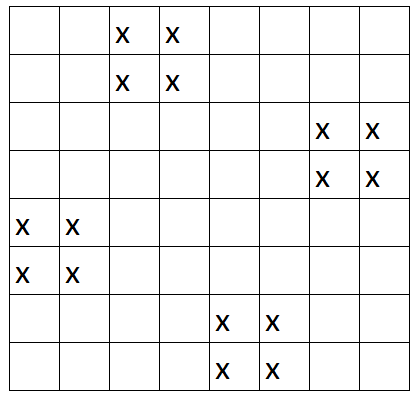 The puzzle is to have all sixteen pawns on the board such that no three are collinear (three in a row). It can be considered with Cartesian coordinates; the three pawns can't make the same slope, even at unequal distances (ex: 0,0 & 1,2 & 3,6 is not allowed). I'm thinking that the solution must be so complex that there must be a logic, strategy, or algorithm for this. Could people help me out? Thanks! Create a 4x4 table which each 2 pawns cannot be in 1 row, 1 column, and 1 diagonal including those diagonals obtained by "wrapping around" the edges. 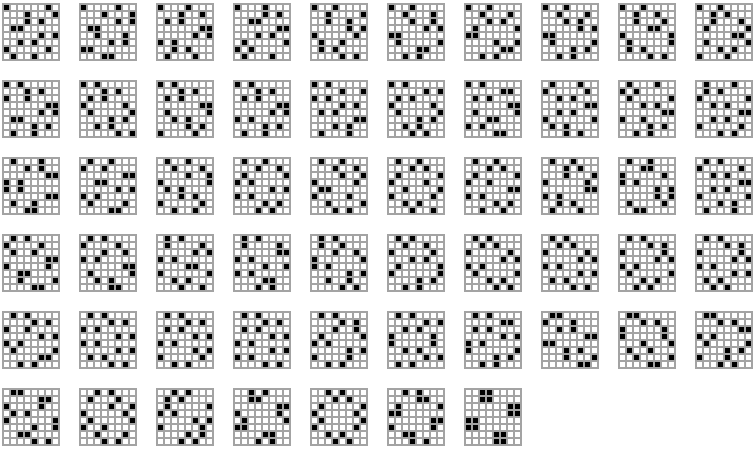 Note that each of the eight rows of the chessboard must contain exactly two pawns. If a row contained 3 or more pawns, it would violate the conditions of the problem. 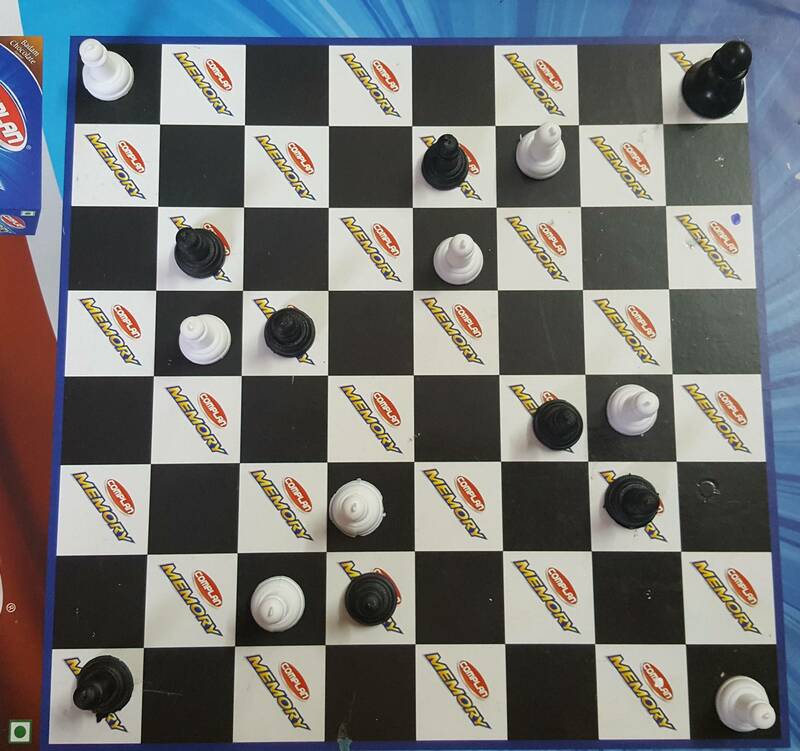 And if a row contained less than 2 pawns, then some other row would have to have 3 or more pawns, again violating the conditions of the problem. There are 8*7/2 = 28 ways to place a pair of pawns on a given row. So, with 8 rows, there are only 28^8 = 377x10^9 possible ways of solving the problem. This is a large number but within the realm of a computer search. The answer is based on Rotational symmetry. Not the answer you're looking for? Browse other questions tagged strategy checkerboard or ask your own question. How many paths are there through a chess board?